Jeffrey L. Sebastian, M.D., is a general and plastic surgeon who works extensively with bariatric and massive weight loss patients. In addition to having a private practice in Santa Monica, California, Dr. Sebastian is an Assistant Clinical Professor of Surgery at the UCLA David Geffen School of Medicine and teaches surgery in the VA Greater Los Angeles Healthcare System. 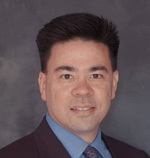 After receiving his Bachelor of Science degree from the University of California, Los Angeles, Dr. Sebastian attended medical school at the University of California, Davis, where he was elected to the Alpha Omega Alpha Honor Medical Society. He completed training in general surgery and plastic & reconstructive surgery at the UCLA Medical Center, and also completed a fellowship in minimally invasive surgery. Dr. Sebastian is board-certified by the American Board of Surgery (ABS). He has conducted clinical research in the field of bariatric surgery and pursues research related to stem cells and tissue engineering. Dr. Sebastian has co-authored numerous articles for peer-reviewed medical journals and speaks at state and national conferences pertaining to body contouring after massive weight loss. Dr. Sebastian may be reached through his Web site at www.sebastianmd.com.